Super Bowl (looks up Roman numerals) 53 is upon us and this weekend we’ll watch to find out who’s king of the gridiron. It’s Pats vs Rams. McVey vs Belichick. Aaron Donald vs Gisele’s husband. As sports fans, sure, we’re all excited for what’s going to happen on the field and how many wings we can eat, but as marketers, we’ll be glued to our screens watching what happens between plays. For marketers, whether or not Tom Brady takes home another trophy is an afterthought, we’re here to catch the next Tide ad. Super Bowl commercials cost roughly $5M just to run and with such a hefty price tag there’s a lot riding on a little amount of airtime. Needless to say, the field isn’t the only place to watch the drama unfold. Whether it’s brands competing against each other, or brands that want to use the Super Bowl as a platform, there’s a lot more to each story. Welcome to the Meta Bowl. Super Bowl 53 will be played in Atlanta. Atlanta has been the headquarters and home of Coca-Cola for about 130 years. One of the Super Bowl’s main sponsors is Pepsi. Let that sink in for a second. 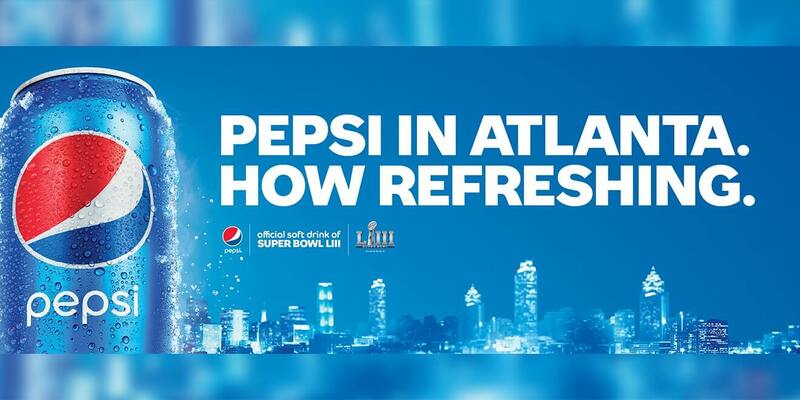 Pepsi is coming into Coke’s town amidst the big game. The history between the two brands goes way back to taste tests. Pepsi likes to be playfully competitive, while Coke likes to take the higher ground. But with Pepsi banning bottles of Coke inside the stadium, putting up giant billboards around town and running a star-studded TV commercial literally asking if Pepsi is okay, who knows where the cola war is headed next. Another head to head matchup to watch out for this weekend is Skittles versus advertising. In a hilariously strategic move, the candy brand will put on a 30-minute live show called Skittles Commercial: A Broadway Musical instead of airing any commercials. 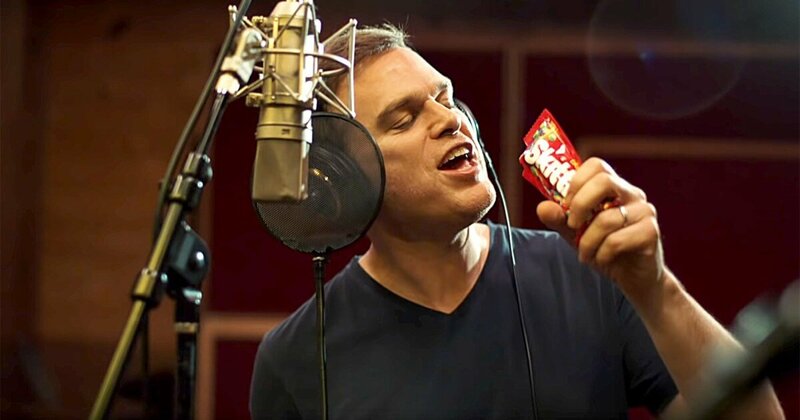 Skittles is known for being fun and different, to say the least, but by casting Dexter’s Micheal C. Hall, putting out an album on Spotify and putting on an actual live show, they really are taking it to the next level. In all seriousness, the brilliance behind this move is noticeable, and by not running a TV commercial and charging up to $200 per ticket, Skittles may be onto something here. It’s Not Just A Commercial. 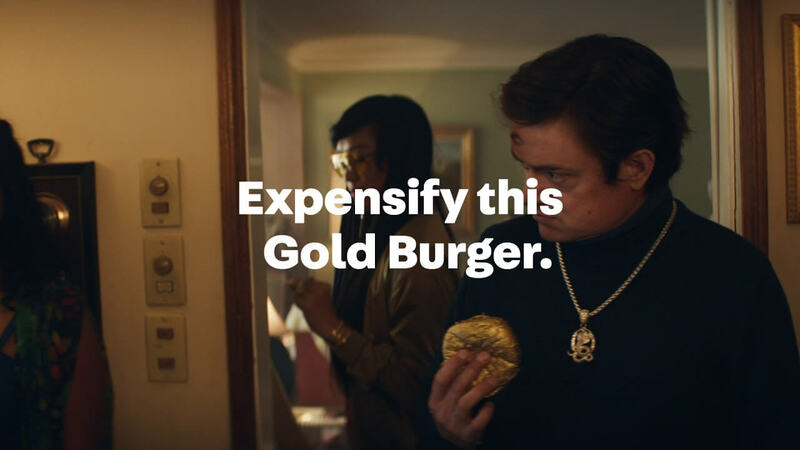 As mentioned above, the price tag of a Super Bowl commercial is getting out of hand, so if you’re a brand like Expensify you want to take advantage of your airtime. This year the business expense software company isn’t running a simple TV commercial, they’re running a star-studded music video for rapper 2 Chainz. They are also running a digital-forward interactive ad. They are also running a contest that teaches audiences how their software works. And above all, they are creating interest through interaction. Sure, $5M is a lot of money, but Expensify is definitely looking to get the most bang for their buck. There are a few trends with Super Bowl Commercials – spend a lot of money, use a recognizable song, and put a famous person on camera. Lately, Stella Artois has managed to buck these trends, with the exception of Matt Damon talking about a good cause. But this year the Belgian beer company has gone full famous. By casting Jeff Bridges and Sarah Jessica Parker to revive their iconic characters of The Dude and Carrie Bradshaw, Stella has joined the masses. 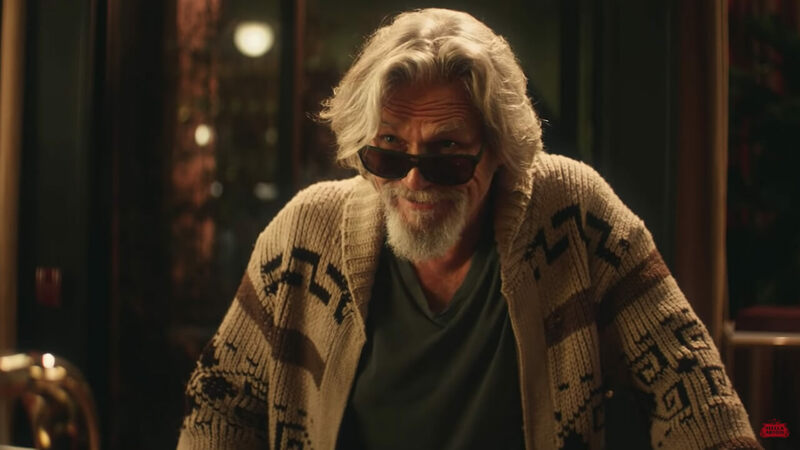 We’re used to seeing uplifting tales about interesting and fun people that can translate around the world, so we’ll see how this total shift to North American pop culture goes for Stella Artois. This weekend, gather your buds, find a giant TV, prep your chips and dip and get ready for a day of dramatic entertainment. Oh yeah, and there’s a game on too.